Does Pipe Price Make a Difference in Quality? Quick – think of 5 things you can purchase that’ll outlive you. What did you come up with? Not your car. Not an expensive phone. Maybe your house, though it likely cost you thousands that you may still be paying for. It may be tough to think of anything for most, but around these parts a briar pipe comes to mind. For some reason, the fact that pipes last for so long seems to escape those who have come to think a pipe should be ‘cheap’. A quality pipe provides enjoyment much longer than a nice meal at your favorite restaurant, but many individuals in search of a pipe want to spend less than the cost of a meal on their tobacco pipe and expect that it lasts them for years. Like most items, you get what you pay for with pipes. Two pipes made from the same materials are not necessarily of the same quality. When you look at it that way, it makes sense to pay more for the pipe you really want, that will last you a lifetime, rather than spend $20 over and over again on poorly-made pipes that you have to replace because they don’t provide a good smoke. Despite an increase in disposable income, the proportion of earnings people are willing to spend on quality items has gone down. Look at the way many people buy clothes. They purchase dozens of trendy items rather than a couple time-tested pieces that will stand up to regular wear. But you can’t buy pipes the way you buy a cheap t-shirt. The shirt may be just as comfortable as a more expensive version, but the quality of smoke you get from a poorly made pipe is not the same as one that was created with care. Perhaps it’s the fact that we’ve lost some generational knowledge about value and longevity, maybe it’s our obsession with getting a ‘deal’, or maybe we as pipe makers have done a poor job communicating just how much value a pipe carries. Regardless of the reason, it can be hard to decide ‘how much should a pipe cost?‘. So what should you look for when buying a pipe? We have a few suggestions. 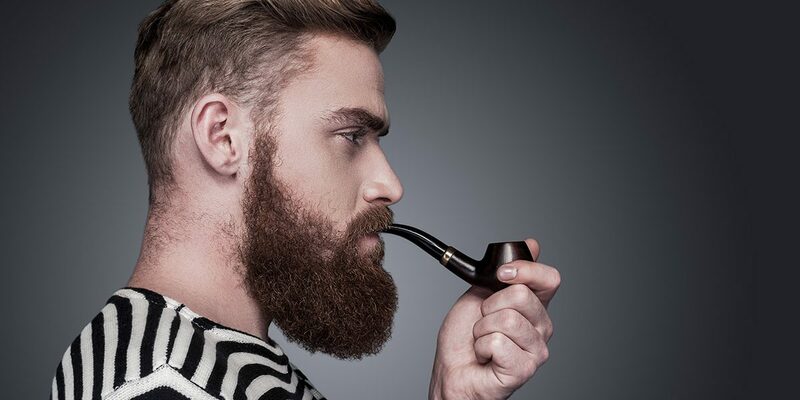 First and foremost, the pipe you buy should appeal to you. Why is this a factor in how much you spend? Because if you buy a pipe, even a quality one, at a great price, but you never use it because the style just doesn’t do it for you, then you have wasted your money. Money you would have gotten more use from if you had bought the pipe you wanted in the first place. Of course the cost is a factor in value. You don’t want to spend a lot of money on a pipe that turns out to be poor quality. There’s a big difference between buying a $75 pipe that lasts and a pipe of the same price that doesn’t hold up or has bad smoking quality. Despite being the same financial investment, one of those is a good value and the other is overpriced. How do you know whether the pipe you are considering is of quality construction? Perhaps the most important feature to look for is that all the parts align properly. Make sure the stem and shank join securely, and the draft hole should align just right with the air hole in the stem. The draft hole should also be centered and end at the bottom of the bowl, not partway up one of the sides. Another feature to look for is weight. Generally speaking, the more lightweight a pipe is, the more likely it is to provide a good smoke. It’s also easier to hold a lightweight pipe in your mouth. As experienced pipe makers, we certainly know what a pipe is worth when we make them. Every piece of briar Brigham Pipes uses has been growing for a century and gets graded before we begin to craft it. And every pipe is graded once again after the hundreds of hand-made operations and hours of work result in a finished product. How much should you pay for a pipe? As a general guide, the old adage still rings true – a Day’s Wage for a Pipe. A single day’s earnings for something that will, with good care, outlive you and provide more pleasure than most things. In fact, a quality pipe will actually get better with age! That’s one of the pleasures of owning a briar pipe. The wood changes colour and ages as you smoke from it. For someone making the median Canadian wage of $24k annually, a reasonable price for a quality pipe is about $65 ($24,000 divided by 365). That’s not to say you have to spend more if you make more, but it helps keep things in perspective, the way people used to. A pipe is something personal and special that will develop character with every use, and that’s something to remember when you consider it’s value. Another factor to consider when looking at prices is that a well cared for briar pipe can provide a good smoke more than 100 years after it’s made. The truth is that many collectors have century-old pipes that they still use and enjoy. How much are you willing to spend for something you can use for the rest of your life? Pipes have been smoked in many cultures across the world. They’re known as a leisure activity that helps you to slow down and unwind — something many of us need right now. They’ve permeated our culture, being used by figures such as Sherlock Holmes and Gandalf (their respective creators were also pipe smokers!). In recent years, the tradition of smoking pipe tobacco has taken a backseat to cigarettes and cigars, perhaps because they don’t require the ritual and time it takes to prepare a pipe. But we believe that ritual is a big part of a pipe’s enjoyment and heritage. So next time you hear someone recoil in horror at the thought of spending too much on a pipe, ask them what else they could spend that money on that carries as much history, value and longevity.